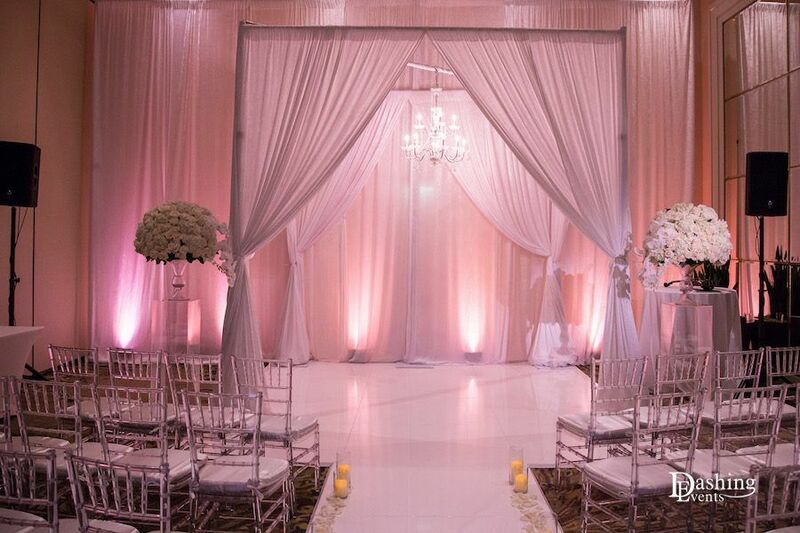 There are many different options to choose from if you are considering our decorative wedding draping Los Angeles & Orange County. 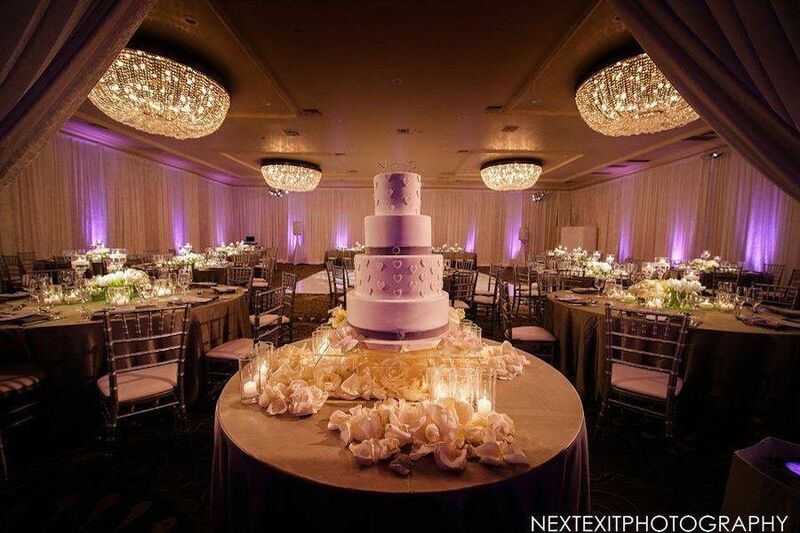 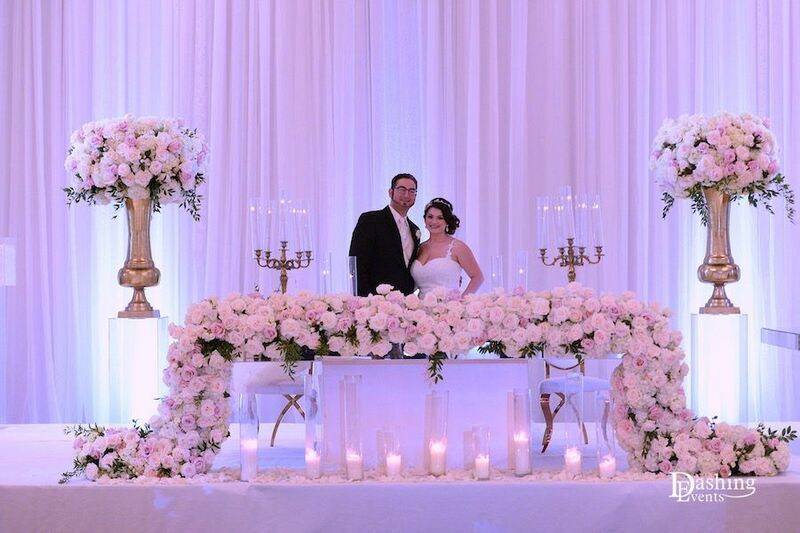 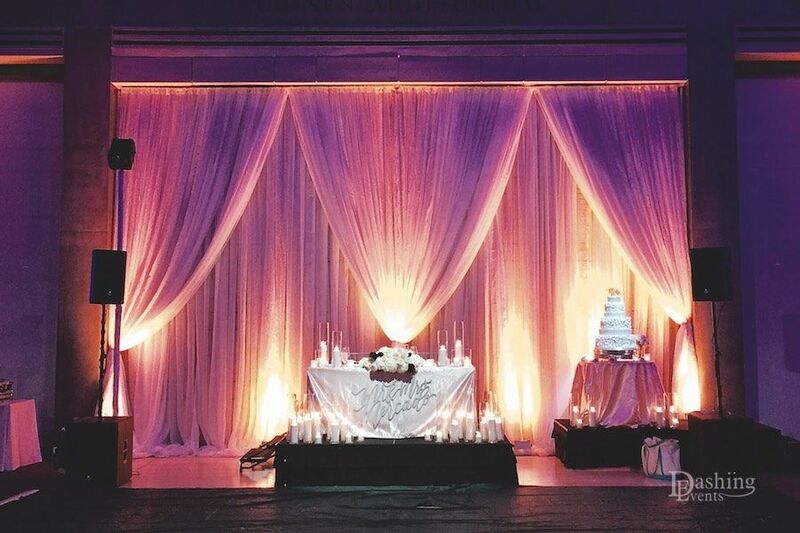 Whether you want to completely transform your ballroom into a fairy-tale-like setting with wall-to-wall draping, or do a simple drapery backdrop behind your stage or sweetheart table, we can make your vision come to life with our services. 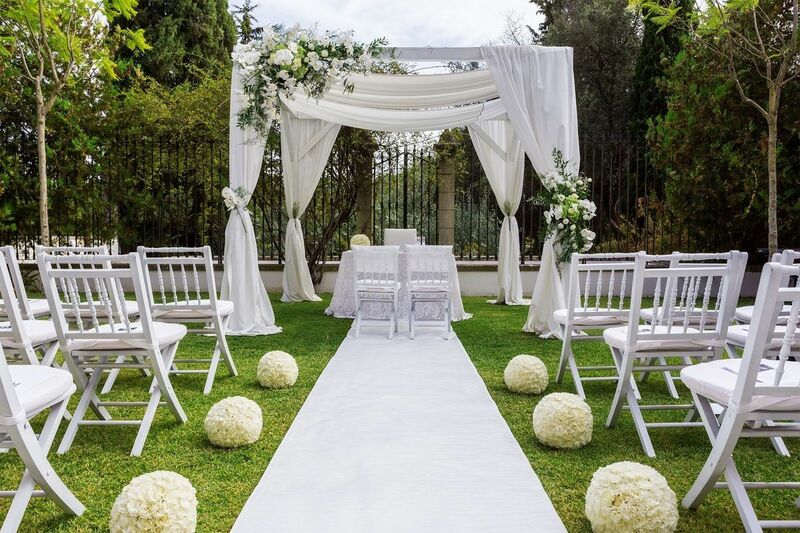 We also offer ceremony gazebo draping or chuppahs. 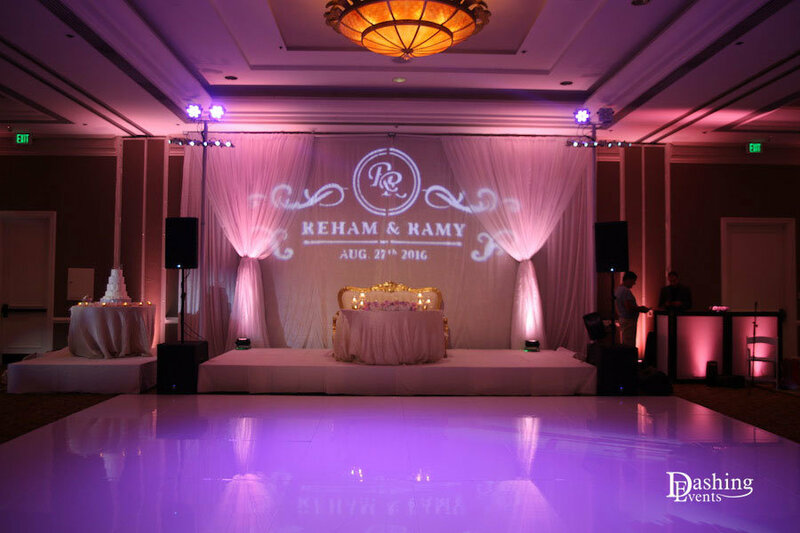 See our beautiful photos below for samples of what we can do for your wedding or special event.